Ion implantation is a standard technology, by which impurities are doped into Si substrates in very large scale integration (VLSI) processes in modern times. Defects are unintentionally generated in the substrate by the ion implantation simultaneously since impurities are introduced physically into the lattice, i.e., in non-thermal equilibrium. Hence, a subsequent thermal process is indispensable to recover the damage and activate the introduced impurities. Intensive studies on predicting the ion implantation profiles and activation processes have been done, and they are still under investigations. 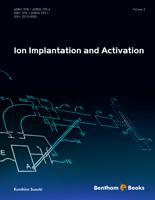 Many eBooks on fundamental ion implantation technology and detailed physics related to the ion implantation have been published. Furthermore, database for practical ion implantation profiles is also established and it is valid even for modern technologists and students. However, theoretical models and systematic fundamental experimental data are not closely related to each other, and how accurately the models reproduce the experimental data is not clear. We have been collecting systematic experimental data to evaluate and develop the models for a long time. We also try to compare the data with related models in this eBook. Details about the derivation process of fundamental and advanced models are described step by step and their related assumptions and approximations are clarified. If some mathematical and physical background is necessary, related appendixes will be added to make this eBook self-contained. Models that are not established well and under investigations are treated as well. Although it is not ensured to be accurate, knowing the details about models under investigations is interesting for furthering the models. The author aims at the readers who are experts and non-experts in various fields associated with the ion implantation, hoping that various members can cover some knowledge to collaborate with one another. It is not easy for non-expert members to understand this eBook, but it is believed that they can do it with time and efforts. This eBook consists of three volumes, and this volume treats the following. Ions are usually implanted into patterned substrates. Therefore, two-dimensional profiles in these substrates are also important to predict device characteristics. This becomes more important when devices are scaled down. We show the analytical models for two- and three-dimensional profiles in various shapes of the substrates. Sometimes, ions are implanted into multi-layer substrates. How we generate the profiles based on the profiles in each single layer is briefly shown. Damage is unintentionally introduced to the substrates by ion implantation. When the dose is increased, the damaged regions overlap and a continuous amorphous layer is formed. The activation and diffusion in the subsequent thermal process are significantly influenced regardless of the situation that the amorphous layer is formed. The damage formation by ion implantation is investigated with various temperatures, that is, hot or cold implantation is performed. We show the model to predict the amorphous layer thickness in wide ion implantation conditions at various ion implantation temperatures. Solid phase epitaxial recrystallization (SPE) occurs during low-temperature annealing. The speed of the regrowth of the amorphous layer and the redistribution of the profiles during SPE are shown. Impurities are highly activated during SPE, which is explained by introducing a concept of isolated impurities. The author confirmed that this eBook has no conflict of interest.